We love all of our customers, even the ones that ask loads of questions, as they are the most passionate ones! So we thought how wonderful it would be if we could meet some of you in real life. So we have decided to open our doors to you all on a special open day. 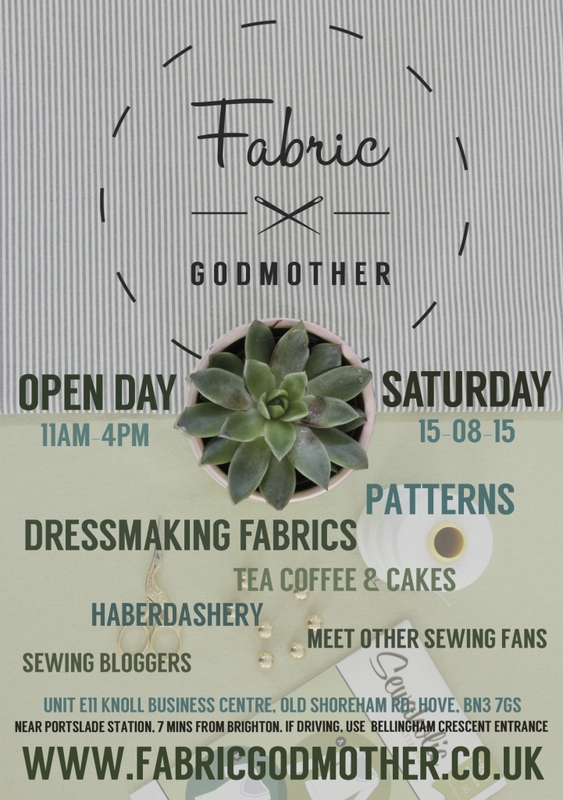 Not only will we have loads of fabric and patterns, but we will also have sewing bloggers, tea, coffee and cake (made by Grandma) and a chance to meet lots of other sewing people.